America should be a country of second chances. This should be a nation in which each individual is judged on his or her own actions and merits. We don’t need to blindly trust, but we must step away from stereotypes that keep certain segments of the population from reaching their full potential, or bouncing back from past mistakes. 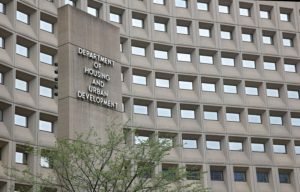 This week the nation took a significant step toward that a goal when the U.S. Department of Housing and Urban Development released new guidelines for housing providers. Instead of universally and automatically banning anyone with a criminal record from renting or purchasing a property, landlords must now consider each individual’s specific circumstance. Landlords of federally-subsidized housing or in the private rental market who use blanket bans of potential clients with criminal records will be engaging in discrimination and be in violation of the Fair Housing Act. This does not mean that a property owner must enter a contract with an ex-offender or someone who has had other contact with law enforcement. Instead, these prospective tenants must be treated the same as all other applicants and given a fair opportunity to compete. HUD Secretary Julian Castro made clear that these changes not only surround a desire to keep families together, or the larger American ideals of fairness and second chances. While those have been critical components to the centerpiece of HUD’s arguments regarding ex-offenders and housing, the agency is finally acknowledging that blanket bans, just like the justice system, disproportionately impact people of color. People involved in the criminal justice system are overwhelmingly people of color, and the criminal record checks conducted by most landlords amplify those racial disparities. “Right now, many housing providers use the fact of a conviction, any conviction, regardless of what it was for or how long ago it happened, to indefinitely bar folks from housing opportunities,” Castro said in a statement. About one in three American adults have a criminal record of some kind. The records include individuals who were arrested but not convicted of a crime, as well as others who were convicted of minor crimes years ago. The HUD guidance is a logical extension of a Texas housing discrimination case that was decided by the U.S. Supreme Court last year. Justices said tenants can bring a case against housing practices that have a discriminatory impact, even if the policy intent wasn’t to be discriminatory. HUD is saying that even if landlords do not intend to discriminate when they automatically and routinely exclude people with criminal records, the affect is the same because people of color — specifically blacks and Hispanics — have disproportionate contact with law enforcement and the justice system. Housing providers can still conduct background checks, and can still decide the severity or circumstance of a past conviction disqualifies a renter. That’s good. It’s also good that such cases will now be decided on an individual basis.